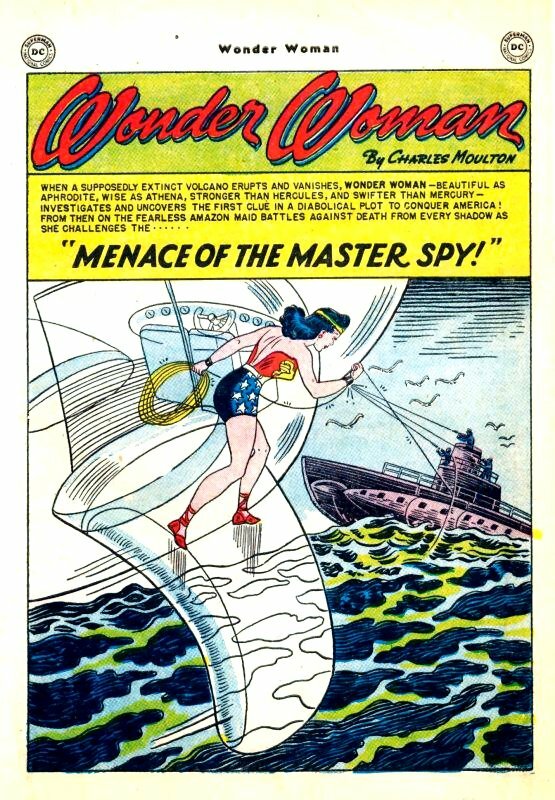 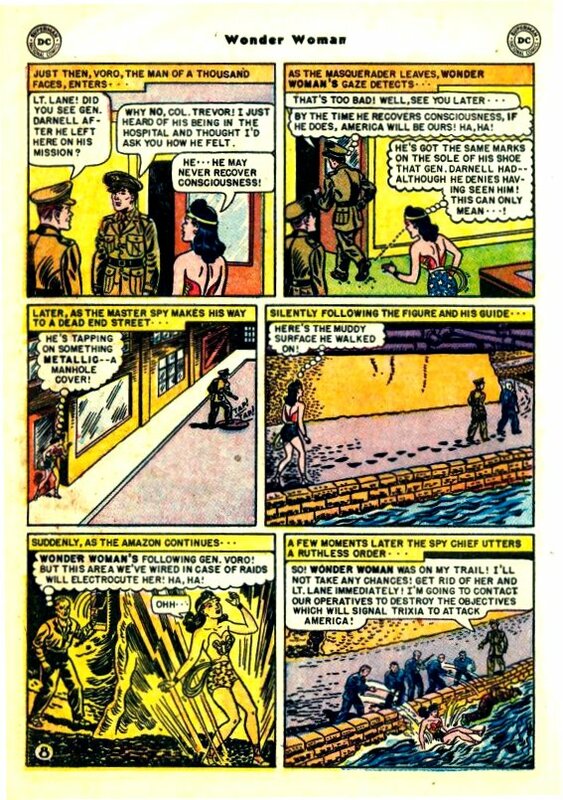 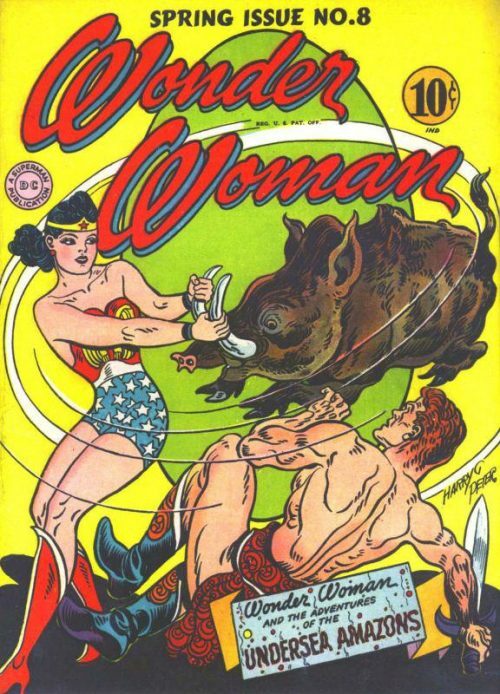 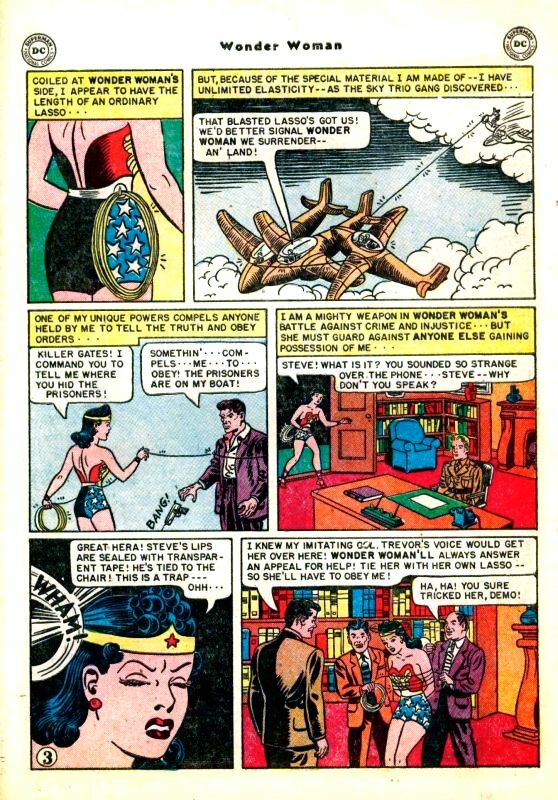 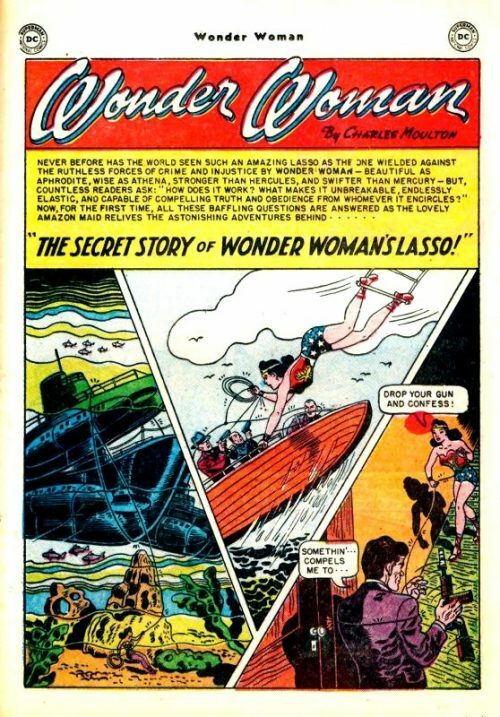 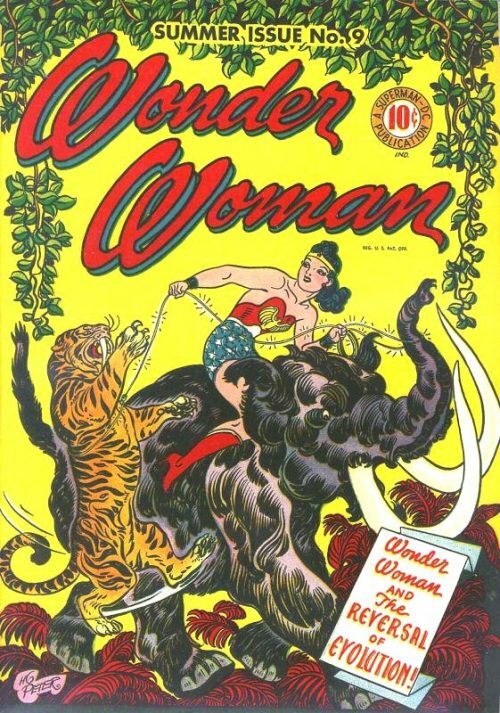 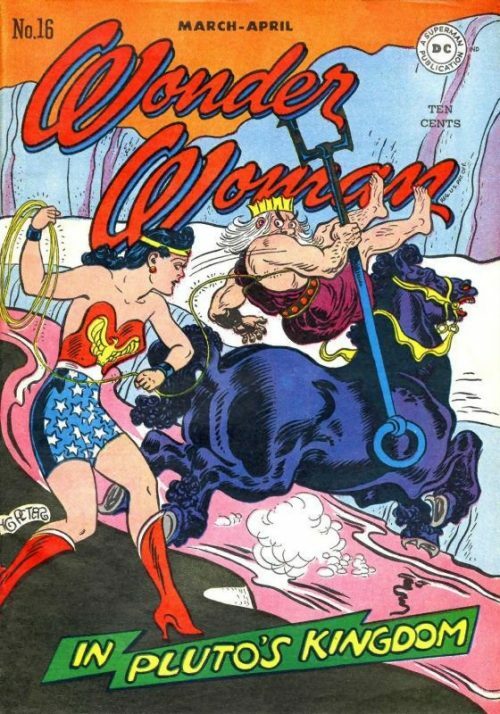 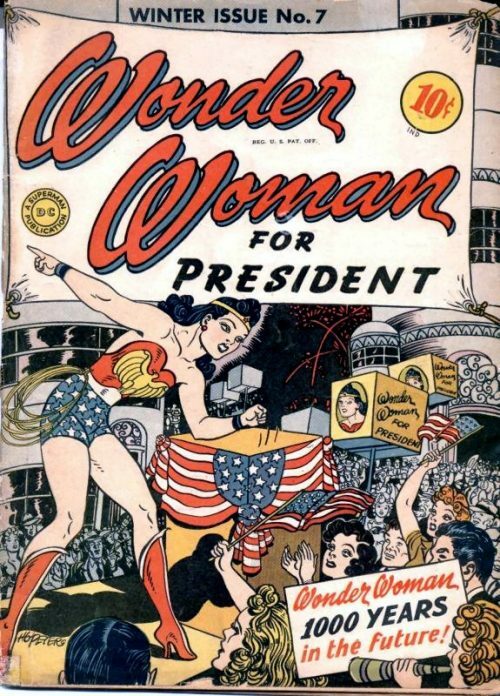 This issues tells the origin story of the Lasso of Truth. General Darnell pretends to be a traitor to smoke out Trixia’s atom secrets. 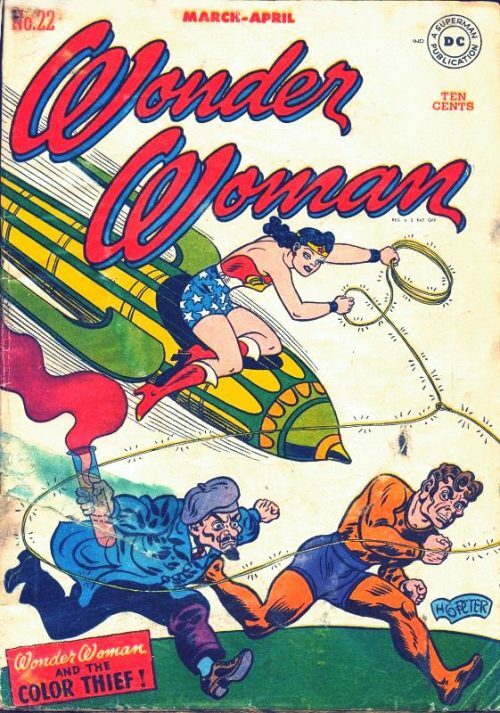 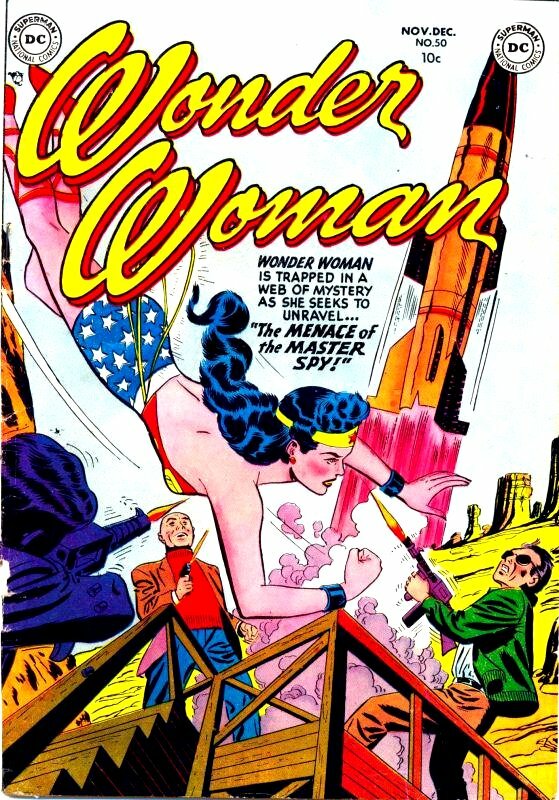 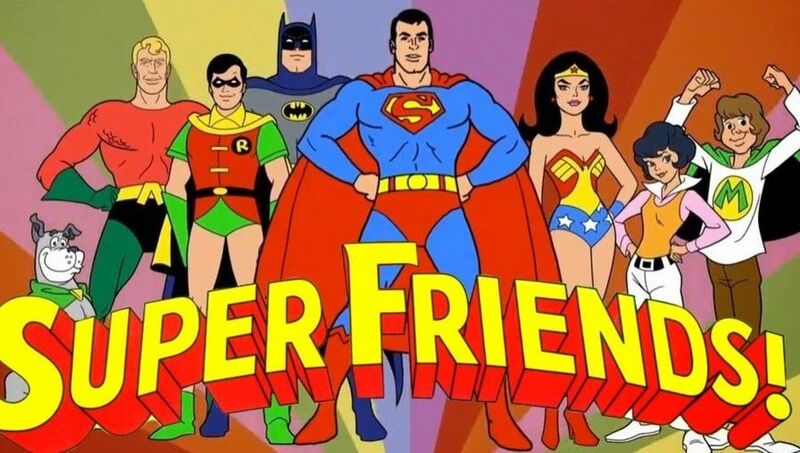 When tackling a gang of crooks Wonder Woman finds herself ensnared in her own lasso hurtling from a plane to her death and recollects how she came to be in possession of the Magic Lasso and its powers, before saving herself and Steve and taking the crooks into custody using the Lasso.